When we fist visited Maureen's we had noodles. This time it being late and all, I opted for something a little smaller. In edition to the noodles and tasting menu, Maureen now offers several appetizers, and of course, several selections of wine. I began the evening with an appetif; 2010 Jacques Fleury Rouge from Bordeaux. 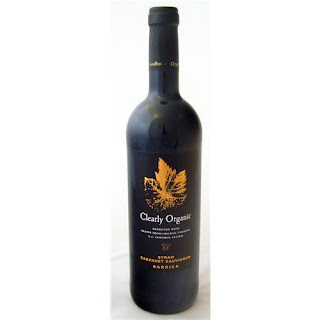 This is a classic Bordeaux table wine. Red current and tart cherry on the palate, firm tannins, and good acid. Simple and classic. For my first course I enjoyed the perfect egg. This is simple and oh so divine! 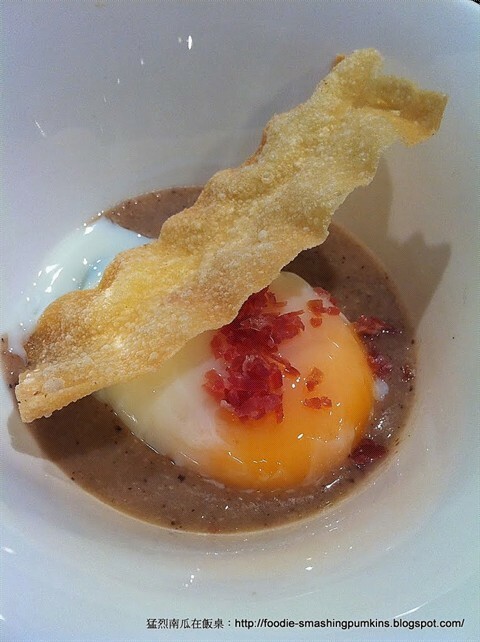 A perfectly cooked egg over mushroom 'fluid gel,' topped with Spanish ham bits, and served with a crisp. I could eat this every day for the rest of my life. Next up was the special cherry tomatoes in balsamic, olive oil, garlic, and shallots. A bowl of perfection. 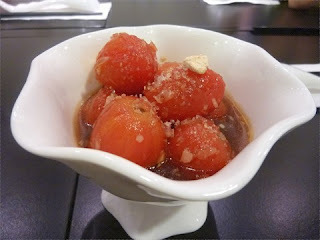 Soft skinnless tomatoes with a wonderfully sweet and savory sauce, this was clean and refreshing. It paired nicely with the Clearly Organic Barrica. The light spice from the Syrah worked with the light zing from the marinated garlic. The third and final tasting was yet another egg. A life changing egg. This was marinated in Chinese Shaoxing wine and ohhhhhhh my was it delicious! 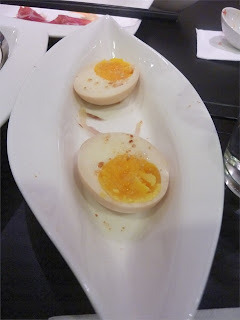 Unlike any other egg, or anything, I have had before. Creamy soft texture, and a light lovely sweetness from the wine. Woooweeee. Thanks Maureen for another unforgettable meal! And if you haven't been in for an egg and glass of wine, go now. Now!